I know autumn is here not because of the weather (it’s currently in the high nineties here), but because when I go to the grocery store, I see pumpkin flavored things on every shelf. 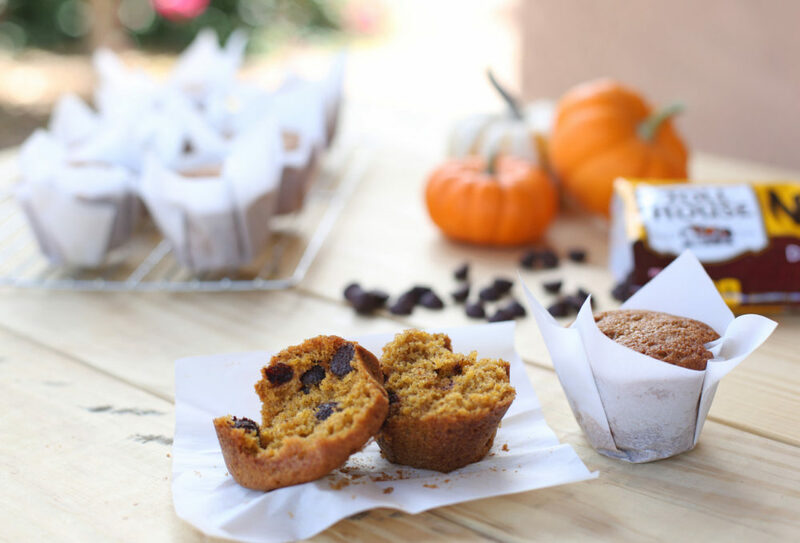 I’ve mentioned in the past that I’m not the world’s biggest pumpkin fan, but these pumpkin chocolate chip muffins are so good that even a pumpkin agnostic like me can get completely behind them. 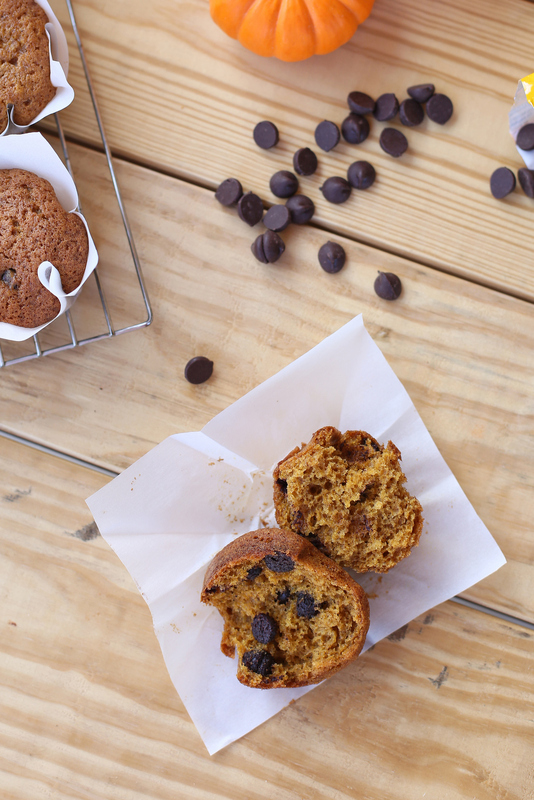 Also, every year when Bart’s sister and her husband and their six kids come to visit for Thanksgiving, I make a double batch of these pumpkin chocolate chip muffins for a quick Sunday breakfast along with a smoothie, and they are always gone in about 15 seconds flat. And it makes me a very popular mom when I pull a batch of these out of the muffins. 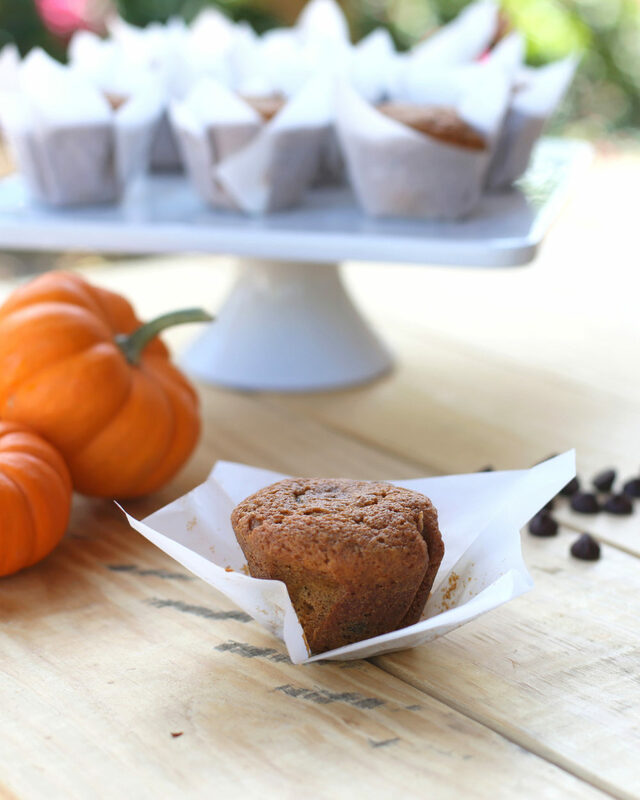 Plus, you just can’t beat the smell of pumpkin, cinnamon, cloves and nutmeg baking in the oven. It just makes the whole house smell amazing and feel super cozy (even if your children are all wearing shorts and flip flops). Add a generous cup of chocolate chips, and I’m all in. P.S. I love making these parchment paper liners because it makes them look a thousand times fancier and also there isn’t half your muffin left sticking to your muffin liner. I did a little quick tutorial for these last year here, if you want to make your own. Pour the flour, soda, baking powder, salt, and spices on top of the wet ingredients and then whisk until smooth. Fold in chocolate chips just until combined (don’t overmix it!). Divide between the muffin tins and bake, about 25 minutes, or until the tops are lightly-browned and spring back when you press them gently with your fingertip. 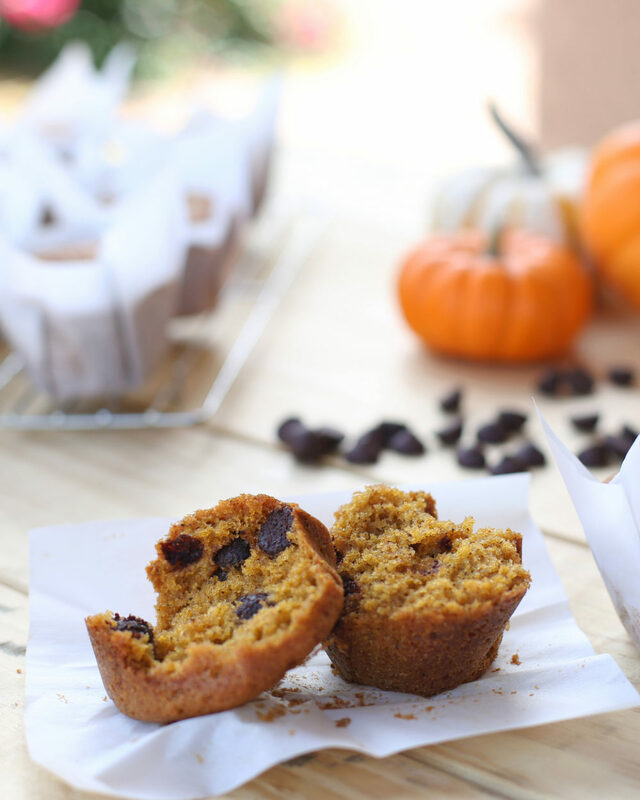 Pumpkin cookies, pumpkin pancakes, and all sorts of pumpkin pie varieties! I just wish we had the cool weather to go with it. Yum! I’m totally making these. (And I’m dying over the pumpkin agnostic comment ?) Do you think you could mix the batter and keep it in the fridge for a few hours or overnight? Maybe add the chocolate chips in at the last minute? These pictures are so pretty! I can’t wait until we have a kitchen again to give these a try! Costco has parchment paper usually in the fall but sometimes more often than that, it’s 410 sq feet for $10! I made my mom’s pumpkin muffin recipe for the first time since my husband and I got married, and he was not impressed. So I am excited to try this one out and see if he likes it better!